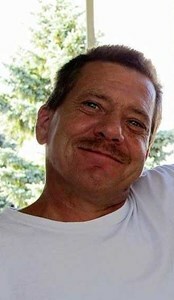 Amsterdam- Russell W. Diegel, 56, passed away suddenly on Sunday, February 3, 2019. Russell was born on January 27, 1963 to Patricia Edmunds Butler and the late Paul Diegel. Survived by his children, Krystle Haight, Tyler, Dillion & Cole Diegel; his siblings, Sandra Clavell, Paul & Bruce Diegel; grandchildren, Clover & Tucker Haight. Services for Russell will be held in the spring with a time to follow. Add your memories to the guest book of Russell Diegel. Russel was a fun happy man i will always rember him that way. So sad to see him go rest in peace.